Sunday 24th sees us hold our annual Christingle service at 10am. It is a wonderful service of light and an opportunity to raise much needed money for the Children's Society. 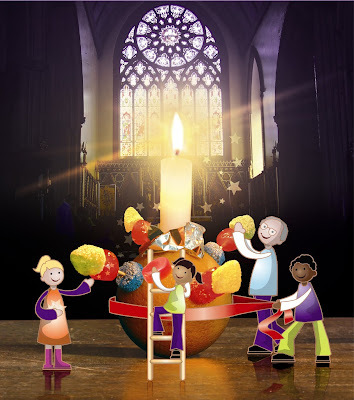 Christingle and supporting the Children's Society is a great was of us answering the call for us to be an Epiphany people, to reveal Christ in the world in the way we live our lives, and to pray that God's light would shine in the dark places, transforming them by His light and our action. 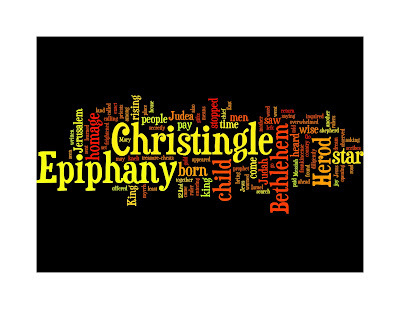 The Wordle is of Matthew 2:1-11 - the reading we will use.